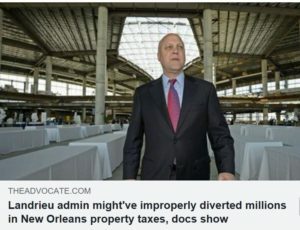 Unfunded Pension Liability increased by 12% during 2010 to 2018 under Mitch Landrieu while the City Staff grew by 313. Annual Audit Report using 7.5% as expected Annual Rate of Return. 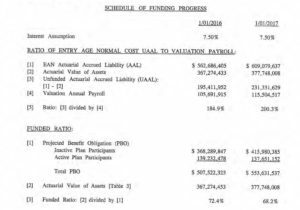 From 2010 to 2018 Unfunded Pension Liabilities grew from $50 Million to $241 Million. The Funded Ratio dropped to 68% with below 70% considered Unhealthy. Using a more realistic annual rate of return would drop the funded ratio to approximately 63 percent. 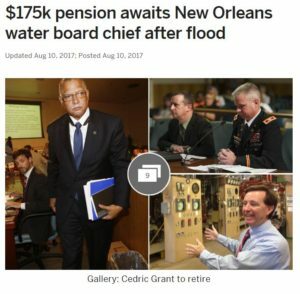 In 2002, New Orleans Pensions were funded at over 100%. By 2018 the city reported 68%, using 7.50% as an annual rate of return. Using 6.5% would drop that to 63% funded. The NOMERS Pension Plan has not been able to keep up with the cost to operate it due to increased staff. The needed result is for more of the budget to be allocated to the pension plan. That will take away from need infrastructure. The result is that at some point money needed for infrastructure will have to be diverted to cover retiree payments. 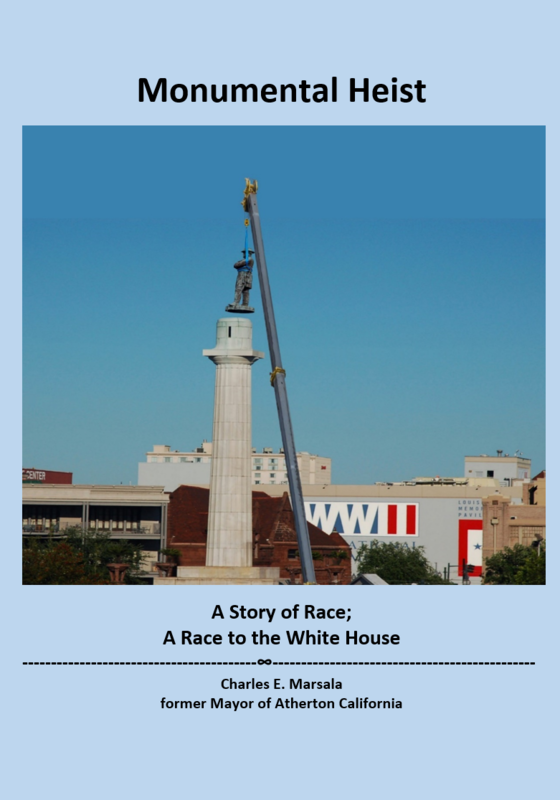 However it seems that already happened with the diversion of funds from the Downtown Development District. Flint Michigan’s water crisis was impacted by unfunded pensions. 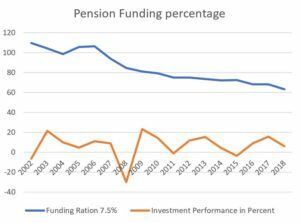 At some point the amount of funds consumed by Unfunded Pension Liabilities takes too much away from funds needed for infrastructure. 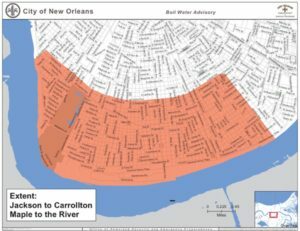 New Orleans had 15 Boil Water advisories between 2010 and 2018. 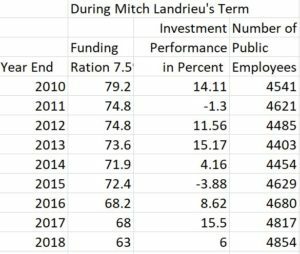 New Orleans City Budget will be impacted by all 313 increase in staff under Mitch Landrieu. 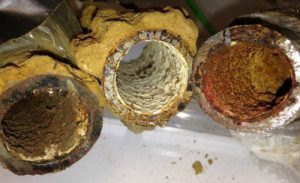 Funds needed for purifying water and removing Lead and Copper will be diverted to retiree’s pension and health care. 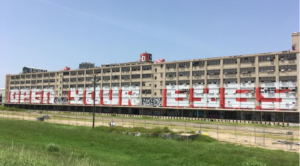 FEMA Provided New Orleans with $35,000,000.00 to renovate a U S Naval Facility on Poland Ave to be a Hurricane evacuation shelter and Hurricane Emergency Operations Center. 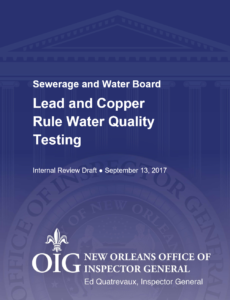 Mitch Landrieu’s Administration moved the funds to other uses. An artist painted a message in 24′ letters.